Solar control glass is used in order to create the most comfortable interiors, significantly reducing the greenhouse effect. This leads to a reduction in the size of the air conditioning systems, and implicitly reduces the costs for cooling the rooms. 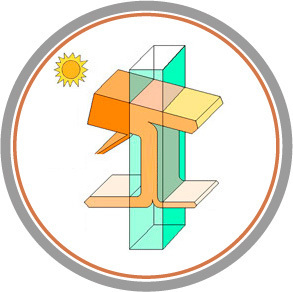 Depending on the degree of sunlight, the orientation and the surface to be glazed, the user will choose the best compromise between light transmission (LT) and heat that enters the room (solar factor g). 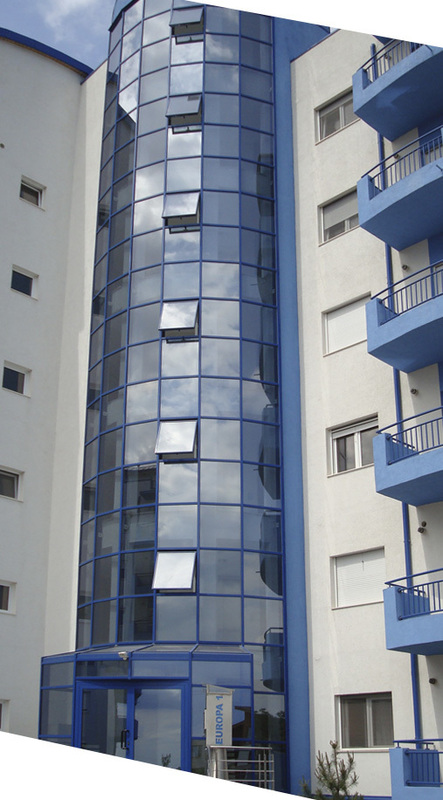 The solar control glass range comprises a variety of types of glass with different degrees of solar protection and different colors. The glasses used are shown in the table below. Architects and designers usually choose glasses that provide a high light transmission but also provide a high solar protection. (maximum ratio which is physically possible). 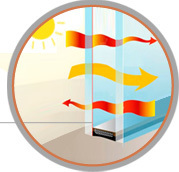 The solar factor g (%) is the fraction of incident solar radiation that enters a room and is sent by the glass (transmission + energy re-emission of the glass into the room). This is one of the essential characteristics of the solar control coated glass. A higher value indicates a lower solar protection. glass and consequently a less bright room. As it is well known, outside the visible component, the solar radiation also includes infrared spectrum radiation (below the visible limit) and ultraviolet radiation (over the visible limit) that can not be detected by the human eye. However, this radiation transmits a large amount of heat. The technological innovations in recent years led to the manufacture of a new type of glass capable of reflecting heat, but allowing the light to pass. The figure from the right side shows how an incident solar beam, on a glass surface, is divided into three parts: reflection, absorption and transmission. The solar control is achieved by changing the ratio of these three components, whether it is the radiation in the visible or invisible spectrum.